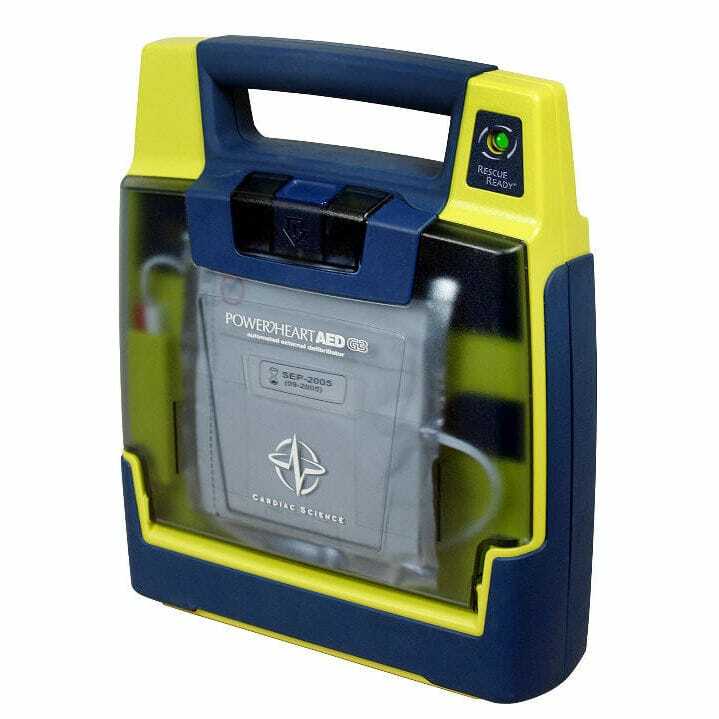 Featuring more than 80 patents, the Powerheart G3 Plus AED offers a unique combination of features that no other AED can match in providing an easy to use, reliable and technologically advanced lifesaving device. New Rescue Coach™ intuitive voice prompts were designed using the results of a human behavior study to guide the rescuer confidently and easily through the rescue process and provide instructions and AED behavior aligned with the AHA/ERC 2005 Guidelines. The new detailed instructions for CPR include a metronome to assist with frequency of compressions. Patented non-polarized defibrillation pads simplify the placement process as either pad can be placed in the upper right chest or lower left chest area. Powerheart AEDs also feature a text screen which displays text prompts for use in a loud rescue environment, or by rescuers who are hearing impaired. Available with fully-automatic or semi-automatic operation. Rescue Coach intuitive and comprehensive voice prompts guide users through the rescue. Metronome for proper CPR compression frequency. Outstanding voice prompt quality and clarity. 4 – Year full operational replacement battery guarantee. 7 – Year AED warranty.